Here is a famous Ellington song, performed in her most original style by the great Nina Simone. Nina Simone, born Eunice Kathleen Waymon (1933 - 2003), was an American singer, songwriter, pianist and civil rights activist. She generally is classified as a jazz musician, although she disliked being categorized. Her work covers an ecclectic variety of music styles, such as jazz, soul, folk, R&B, gospel and even pop music. Her vocal style is characterized by passion, breathiness, and tremolo. Simone was born in Tryon, North Carolina. Like a number of other African-American singers, she was inspired as a child by Marian Anderson and began singing at her local church, also showing prodigious talent as a pianist. Her public debut, a piano recital, was made at the age of ten. At seventeen, Simone moved to Philadelphia, Pennsylvania, where she taught piano and accompanied singers. She was able to begin studying piano at New York City's prestigious Juilliard School of Music but lack of funds meant that she was unable to fulfill her dream of becoming America's first black classical pianist. Simone turned instead to blues and jazz, taking the name Nina Simone in 1954; "Nina" was her boyfriend's nickname for her, and "Simone" was after the French actress Simone Signoret. She first came to public notice in 1959 with her wrenching rendition of George Gershwin's "I Loves You Porgy" (from "Porgy and Bess"). This was soon followed by the single "My Baby Just Cares for Me". Simone's live performances were regarded not as concerts, but more as happenings. In 1971, Simone left the United States. Simone's regal bearing and commanding stage presence earned her the title the "High Priestess of Soul". 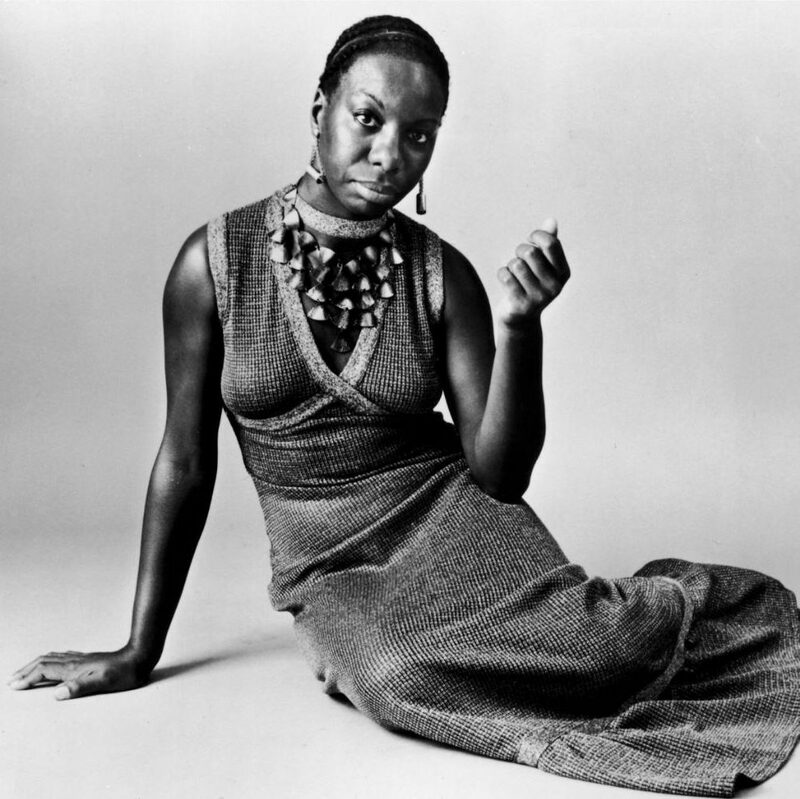 She received two honorary degrees in music and humanities from the University of Massachusetts and Malcolm X University in Chicago, and preferred to be called "Dr. Nina Simone" after these honors were bestowed upon her. In 1993, she settled near Aix-en-Provence in the south of France, where she finished her life. Nina Simone's music has featured in soundtracks of various motion pictures (such as "The Big Lebowski", featuring "I Got It Bad And That Ain't Good"). Enjoy!